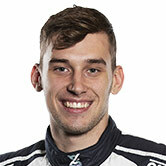 18-year old racer Kurt Kostecki has returned to the Dunlop Series this weekend at the Wilson Security Sandown 500 after standing in for an injured Lee Holdsworth in the Virgin Australia Supercars Championship at Townsville and Ipswich with Preston Hire Racing. Kostecki produced clean racing this weekend, keeping distance from action-packed chaos on-track in the category. Kostecki says experience in the ‘main game’ has certainly contributed to his improvements in Sandown. “I’d say I’ve had the best weekend I’ve ever had in the Dunlop Series so far because I got heaps of race experience and not just one lap time in the main series,” Kostecki told Supercars.com. “The race pace was good and not making many mistakes also worked in my favour because of the experience I had in the main series. Kostecki demonstrated his race start experience off the line in Sunday’s race three, wrestling veteran Paul Dumbrell for the lead and dominating the opening lap of the race. “We got off the line really well and have been all weekend because of the main series, I’ve worked a lot on my starts with Team 18. That’s what helped me a lot,” Kostecki said. “The level of starts in the Dunlop Series I think isn’t as high as the main series, so the few starts I did, I really had to step up my game which has really helped me here. The race proved to be a tyre choice strategy game with Sandown’s uncertain weather conditions, some drivers running slick tyres and others running wet tyres. Kostecki admitted he was unsure of what to expect, starting the race from P4 on wet tyres. “I thought if the rain come down we were in a pretty good position but I knew if it didn’t we would go backwards real quick,” Kostecki said. “Obviously it didn’t rain and we went backwards because we were on the wet tyre. Despite a flying start, the weather on-track did not work in Kostecki’s favour, racing on degrading wet tyres with a drying track. He finished race three in tenth position. Kostecki emphasised he is confident in his race ability after this weekend’s return and for the upcoming Supercheap Auto Bathurst 1000 and Coates Hire Sydney 500 after learning some really valuable lessons in the main game he can now apply to the second tier development series. The team at Kostecki Brothers Racing and Triple Eight Engineer David Cauchi who resides with Kostecki and supports him where possible, are devoted to assisting Kostecki achieve his maximum potential and develop his career up the motorsport ladder. He noted continuously working with guys on the team and his main game experience has helped him get a better feel for the car, set the right direction for the car, give better feedback and ultimately deliver what he wants from his Holden Commodore VF.